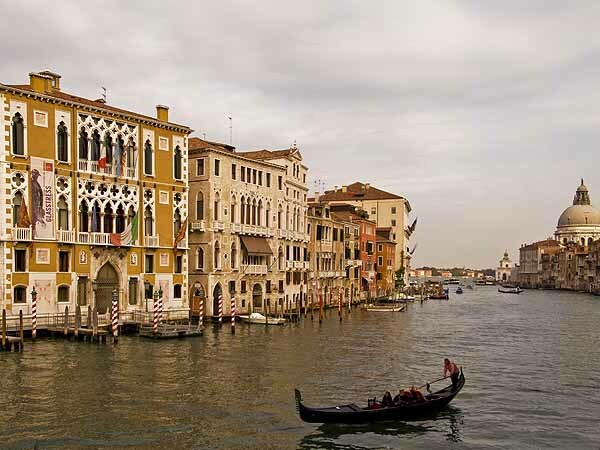 This shot was taken from the Accademia Bridge across the Grand Canal. It was a slightly overcast day but a hint of light came through the clouds just as the gondola came into view. It was also a rare moment when the canal seemed relatively free of motorised craft, providing a somewhat classical atmosphere to the scene.